Causey Aviation provides jet charter flights to and from the Raleigh-Durham International Airport (RDU). Please call us, email us or fill out the ‘Request Charter Quote’ form to receive a custom quote from Causey Aviation for RDU Private Jet Charter Services. Causey Aviation is located at TAC Air RDU. Causey Aviation provides Private Jet Charter Flights at the following airports near Raleigh, NC. Contact us today for luxury private jet charter solutions for travel to Raleigh, North Carolina. Causey Aviation provides secure private charter flights to and from Raleigh. The three closest travel hubs to Raleigh are the Raleigh-Durham International Airport (RDU), the Johnston County Airport (JNX), and the Franklin County Airport (LHZ), which are all within a reasonable 25 miles from the city of Raleigh. Whether you require a light jet such as the Cessna Citation V, a midsize jet such as the Cessna Citation VII, or a large jet such as the Gulfstream V, our jet charter department is ready and waiting to assist you. Simply call us at +1-888-866-8965 or email us at charter@causeyaviation.com to get started today. 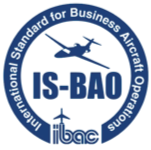 Causey Aviation is independently audited and rated in the Top 1% of jet charter providers nationwide.